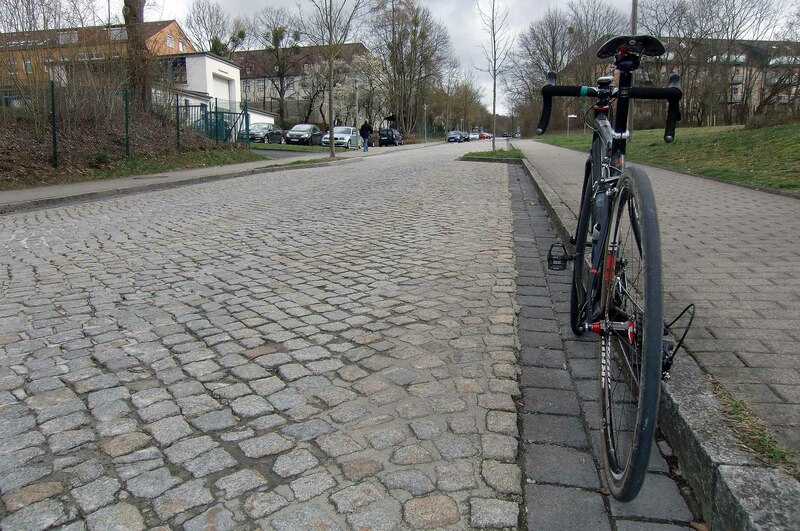 With so few miles in my legs in recent months this ride, my first since coming to Germany, felt tough especially on the cobbled climb through what were the Zieten Barracks and then the abandoned Panzer Weg up to Kerstlingeröderfeld. Once a place where Chieftains and Leopards roamed. My fitness will come back to me and I felt OK on the flat sections but the climbs and the jarring through my bars and into my hands was a challenge this time. The route featured cobbles (some very gnarly), gravel, Panzer Weg, dirt trails and smooth tarmac all ridden within a hour. A stark contrast to my London life. I sat on a bench during this ride and thought about being in Germany.